We would like to invite you to join our customer loyalty rewards program called Pleasantly Green, which gives you 10% of Bonus Money on all purchases (except Special Offers). 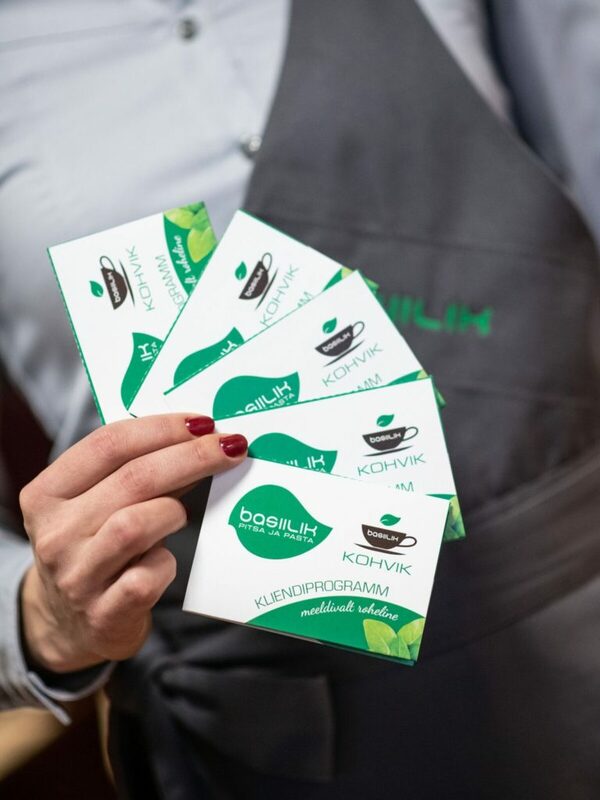 When you join the customer loyalty rewards program in one of our restaurants, you will receive a free delicious Basiilik’s house drink! Ask for an application form from our waiting staff! The loyalty card is conveniently ID-card based. While paying, please let the waiting staff know that you have a loyalty card and please present your ID-card. To pay using the available bonus money, please inform the waiting staff before paying. Information about the collected bonus money can be obtained from the waiting staff and receipt. You can only pay with your bonus money in Basiilik restaurants/cafeterias. The loyalty card is activated within 5 business days from the day of filling in the form. Basiilik reserves the right to modify loyalty card terms and conditions.